Founded in 1937, Brookfields Vineyards is Hawke's Bay's oldest boutique winery, situated alongside the glistening waters of the Tutaekuri River, between Napier and Hastings. 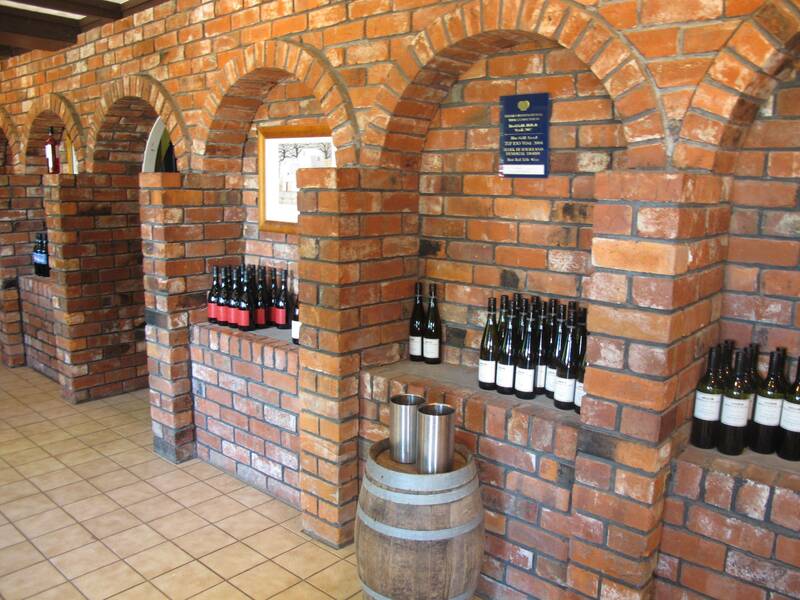 The winery was purchased by the current owner, Peter Robertson, in 1977, who has since transformed Brookfields into a leading winery for New Zealand premium wines. Brookfields is built on tradition and sustainability, combining the best techniques from the past and today, to produce exciting wines each year from their own or shared-ownership Hawke's Bay vineyards. Brookfields produces between 8,000 and 10,000 cases of wine each year. In a great vintage that won't change a great deal. There is no desire to push up volumes and chase expansion when there's the challenge of creating an even more dramatic wine. Founded in 1937, Brookfields Vineyards is Hawke's Bay's oldest boutique winery, situated alongside the glistening waters of the Tutaekuri River, between Napier and Hastings.The winery . . . More . . . Think of a flavour, wrap it in chocolate, let the moment melt in your mouth before it slowly oozes with a powerful burst of pure pleasure. . . . More . . .
Askerne is a single estate winery situated in the winegrowing region of Hawke's Bay.We are committed to producing elegant fine winesthat reflect our unique site . . . More . . .
WILD ON WAIHEKE - Your ultimate Multi-Activity experience/ Wild on Waiheke is the home of Wild Estate Vineyard & Restaurant, Waiheke Island Brewery, and a . . . More . . .